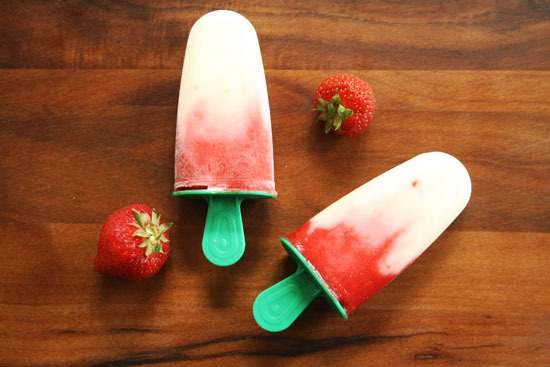 Get the recipe of this easy vanilla yogurt and strawberry popsicles after the jump. . .
Pour the vanilla yogurt in the popsicle molds. Leave about an inch room for the strawberries. 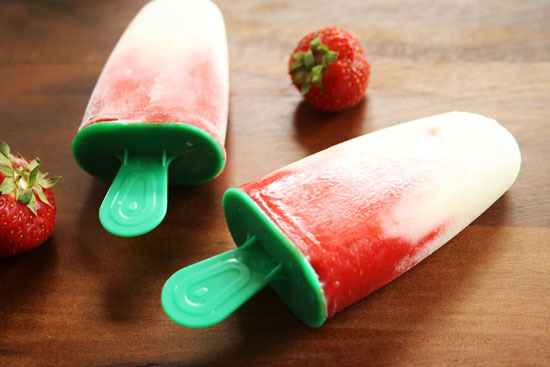 Put the strawberries in the blender and pour the juice in the popsicle molds. Use the back of a spoon to create the marble effect. You can do this by pushing the strawberry juice down and stir a little. Put everything in the freezer and wait for at least 4 hours. I prefer to let it stay there overnight.